With the start of the new training year in Germany, 76 young people have started their apprenticeship or dual studies at SICK. At the welcoming ceremony SICK's junior employees from Waldkirch, Donaueschingen, Hamburg, Dresden, Überlingen and Düsseldorf were welcomed to the company. In the next two and a half to three and a half years, they will complete industrial-technical and commercial training or a dual course of study. This year's start of training is not only an important milestone for apprentices and DH students: SICK training is also celebrating its 40th anniversary. The training department began its work in 1978 with six apprentices, of whom one apprentice from the very beginning is still working for the company four decades later. SICK is currently training 240 young adults throughout Germany. SICK was again pleased with the high number of applicants this year. Almost 800 young people applied for an apprenticeship or university place at the locations Waldkirch and Donaueschingen. In addition to the other locations in Düsseldorf, Hamburg and Dresden, SICK will also be training in Überlingen from 2018, where two prospective mechatronics engineers were welcomed to the start of their training. 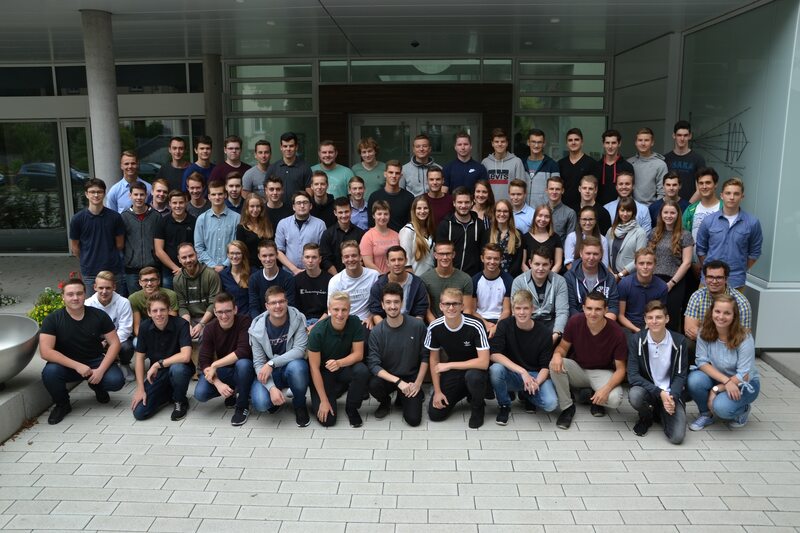 76 trainees and students have started their apprenticeship or dual studies at SICK on September 3rd 2018.